But when it comes to your face, you deserve a specialist. 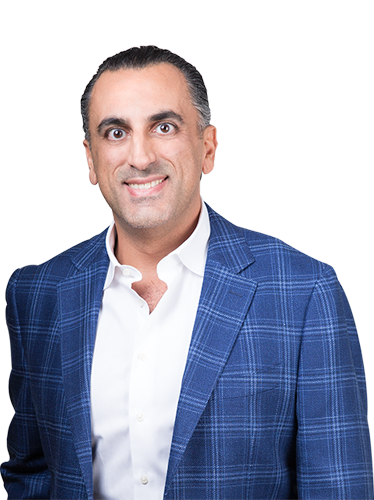 Dr. Aminpour is both a double-board certified facial plastic surgeon, and a trained Ear, Nose and Throat doctor, making him highly qualified to provide you with the procedure you desire. and septoplasty—all in one surgery. As the focus of the face, the nose is one of the key elements in creating balance. Dr. Aminpour understands both the functional and cosmetic aspects of this important feature and is qualified to help you achieve your required results. 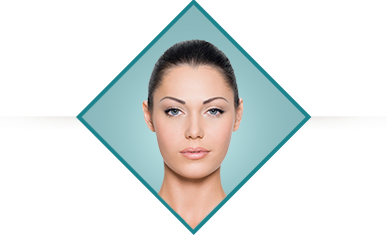 Unlike other plastic surgeons, Dr. Aminpour specializes solely in procedures of the face and head. He uses this dedicated focus and sophisticated technique to perform high quality facelifts to his patients. For those who are seeking a less invasive method of enhancing their appearance, Dr. Aminpour offers BOTOX Cosmetic and dermal fillers to restore plump, healthy skin and a vibrant appearance. Learn more about our techniques and results. 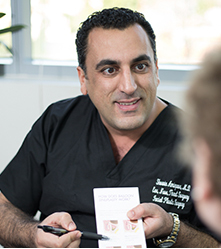 Dr. Shervin Aminpour is board-certified in Otolaryngology—Head and Neck Surgery, giving him unique insight into every functional aspect of the head and neck. He is also a board-certified Facial Plastic and Reconstructive Surgeon, with years of experience providing transformative results. With double board certification, his understanding of the structure of this area of the body is impeccable, translating to cosmetic procedures that not only look natural and beautiful but are also healthy, safe and structurally sound. He is especially skilled in revitalizing and age-defying procedures, providing among the best rhinoplasty Los Angeles has to offer, in addition to high-quality facelift surgery. Reconstructive rhinoplasty may be necessary due to an accident or other trauma that leaves the nose damaged. Revision rhinoplasty addresses previous nose surgeries or “nose jobs” that did not achieved the desired result, or perhaps created structural and functional issues as time has passed. Due to the delicate and precise nature of reconstructive and revision nose surgeries, other nose surgeons frequently refer patients to Dr. Aminpour due to his unrelenting dedication to achieving ideal results. His extensive experience as a facial plastic surgeon in this arena lends itself to such complex procedures. These procedures usually require an extremely thorough knowledge of nasal structure and its influence on the overall aesthetics of the nose and face. This makes him an ideal choice for patients seeking one of the finest rhinoplasty surgeons in Los Angeles. To learn more about revision rhinoplasty, click here. Those considering septoplasty to repair a deviated septum are often ideal candidates for rhinoplasty to address any cosmetic issues present. In such a case, some patients want to get their septoplasty first and then return for the cosmetic nose surgery at a later date. However, a Fusion Rhinoplasty or rhino-septoplasty offers many benefits to the patient when performed by a nose surgeon with the specialist knowledge of Ear, Nose and Throat medicine, such as Beverly Hills nose surgeon Dr. Aminpour. The Fusion Rhinoplasty avoids two periods of anesthesia, two separate surgeries and two recovery periods. By addressing both a septoplasty or other structural issue and a cosmetic nose job during one surgical visit, the physical and financial stress of multiple surgeries can be avoided. Additionally, the Fusion Rhinoplasty takes into consideration the structural performance of the nose on an immediate basis and how the nose will develop as time passes. This ensures that breathing will not be impaired and that cartilage is preserved so sagging or collapse is not an issue in the future. To learn more about fusion rhinoplasty, click here. In the past, cosmetic nose surgeries have been geared towards creating the “perfect” Westernized button nose. It focused on eliminating any trace of a dorsal hump while refining the tip and reducing the overall size of the nose. This technique left patients with a cookie cutter appearance and, to some degree or another, a reduction in their physical identity. To combat this phenomenon, rhinoplasty techniques advanced to ensure each patient’s unique appearance was kept intact while still refining slight imperfections. As a double board certified facial plastic surgeon, Dr. Aminpour has remained on the cusp of this forward advance. His greatest goal is to be among the best rhinoplasty surgeon Los Angeles has available, and he does this by respecting the ethnicity and gender of each patient. As plastic surgery and the rhinoplasty procedure were just developing, little attention was given to nasal variation and ethnic backgrounds of individual patients. Today, Dr. Aminpour tailors each rhinoplasty to the face of his patients, fully maintaining their natural ethnic appearance. In this modern age of plastic surgery, women desirous of rhinoplasty can rest assured their results will be highly personalized. In performing rhinoplasty in his Los Angeles office, Dr. Aminpour cuts no corners in ensuring each millimeter of the results are completely unique and suitable. Male rhinoplasty is a specific and unique procedure. About one million cosmetic surgeries are performed on men each year and male rhinoplasty is one of the top five procedures selected. 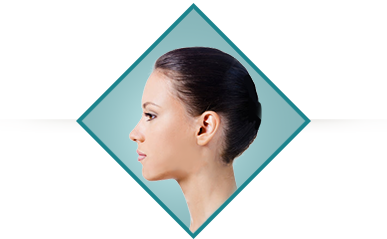 It consists of reshaping and adjusting the structures of the nose for a more balanced and pleasing result. Facial expression sets the tone for social and work-related interaction. As we age, sagging facial muscles can incorrectly communicate how we feel by projecting fatigue, sadness and even depression. Facial flaws such as birthmarks or scars can also hinder communication and cause self-esteem issues. Enhancing visual appearance can provide a competitive edge in business and professional fields particularly where a premium is placed on youthful vigor. Dr. Aminpour’s patients can often accomplish their goals and be ready to go back to work in a few weeks, with no tell-tale bruising or swelling. 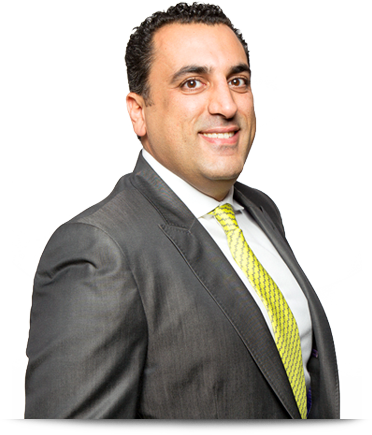 As a double board certified plastic surgeon, Dr. Aminpour has thousands of facial procedures to his credit, both cosmetic and reconstructive. Facial procedures require an exceptionally high level of artistic perception as well as surgical skill, both areas in which Dr. Aminpour excels. The subtle changes are measured in millimeters with little room for error. Dr. Aminpour has devoted his life to ensuring his patients receive world-class care - from first consultation to final result. A facelift can do more than reduce the signs of aging. It can lift the spirit, renewing self-confidence and improving quality of life. Subtle changes make a profound difference in the relationship of the features, creating a refreshed and energetic look that never looks artificial or stretched. Eyelid surgery corrects signs of aging in the upper or lower eyelid by tightening sagging skin and removing fatty deposits that cause puffiness or the appearance of bags under the eyes. It can also improve vision by treating drooping skin that restricts vision. 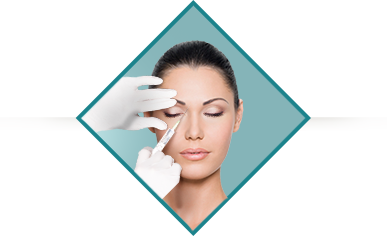 This procedure is also known as a blepharoplasty. A neck lift improves more than sagging and wrinkling in the neck. This procedure also improves the jaw line and treats fatty deposits under the chin. A neck lift may be all that is needed to restore an overall youthful appearance in people who do not yet show the same rate of aging in the face.